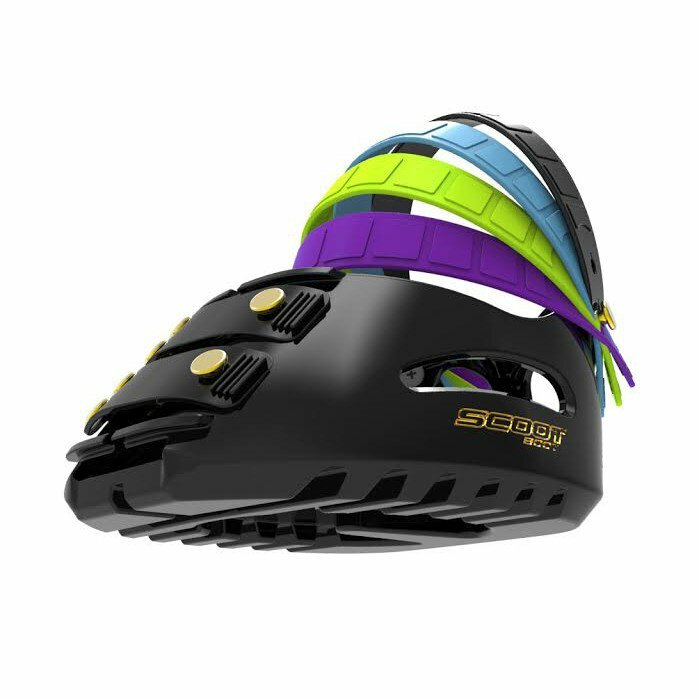 The Scoot Boot is the latest innovation in horse boots technology. Scoot Boot believe their boots will be far superior to any other hoof boot on the market, due to its simplicity and ease of fit. Unlike other horse hoof boots, the Scoot Boot will not get soggy, heavy or wet when riding through muddy and wet terrain. 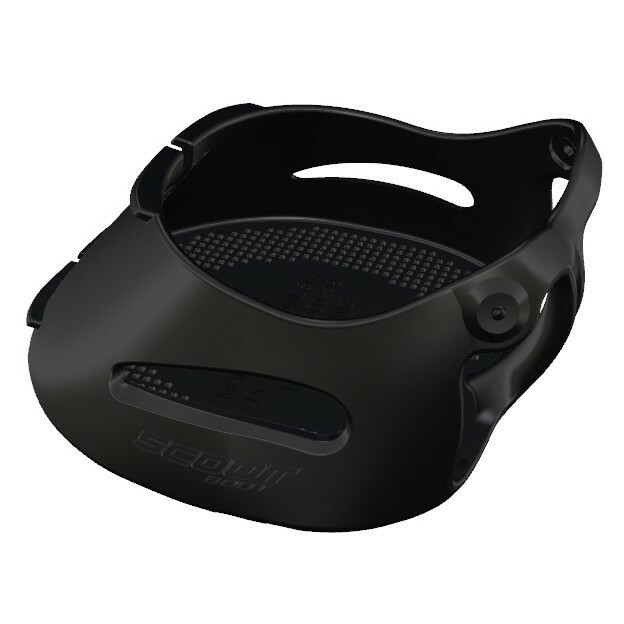 This is because the Scoot Boot is constructed of very strong thermoplastic urethane (TPU) as well as the securing straps, which gives the Scoot Boot superb strength to stand up to all types of terrain that you and your horse may ride over. Available in two different colours and multiple sizes, Scoot Boots are stylish and adaptable beyond any other hoof boots presently on the market. 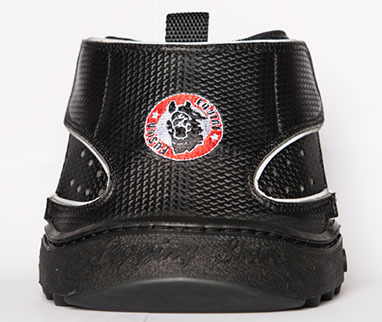 Unlike some other hoof boots, Scoot Boot is easy to place onto a hoof. There is no Velcro to clog with mud, hair and other debris and there are no cables to break that need replacing. Due to their ease of use, any person from the very young to the very old will be able to fit the Scoot Boot onto their horse’s hooves. 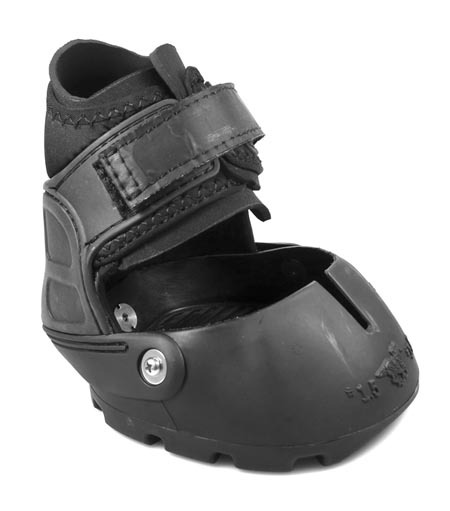 The Scoot Boot will also fit more hoof shapes than any other boot on the market. Whether your horse’s hoof is longer than wider or wider than longer, the Scoot Boot will give you a very secure fit. These straps are designed to provide maximum security. When removing your boots do not attempt to pull the straps directly off the knob hooks with tension on the strap. You must grip the strap, pull it towards the outside of the boot and when the hole is elongated and tension is removed from the knob hook, roll the strap off the knob hook in a twisting action and then the strap will easily release. If you have insufficient strength in your fingers and find you have trouble stretching the straps you may make the task easier by increasing the length of the hole using a leather punch. 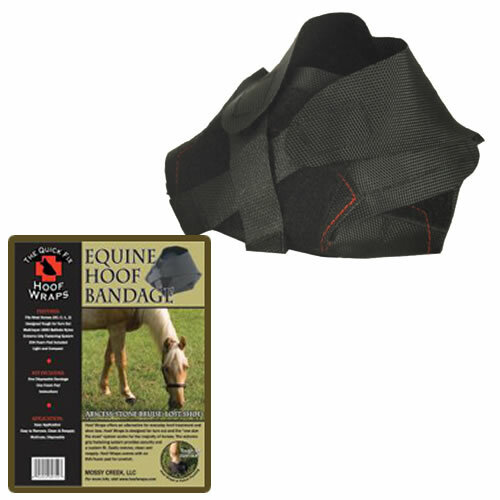 Do not increase the length of the hole more than 1mm at a time and make sure you increase the hole on the finger grip side of the hole in the front closure strap and either side of the hole on the pastern strap. The diameter of the hole punch (leather punch) should not exceed 4mm (3/16″). If you have insufficient strength in your fingers you can easily secure the front straps using your hoof pick to pull the straps over the knob hooks.